Create a space the whole family can enjoy with a finished basement living room. If you want to expand your home without the hassle of an addition or moving, the living space you need is right beneath your feet! Remodeling a basement is one of the best ways to increase living space, create new rooms for your family's needs, and raise your home's value. Burke Construction are your local experts for all your basement remodeling needs in PA. We can transform your basement to give you an extra bedroom, a space for the kids, or any other area you want. With high-quality products and expert craftsmanship, we'll turn your basement into your new favorite room! If you want to upgrade your home with a basement remodel, give us a call today at 1-855-218-2261 or click below to get started. We offer free estimates on all our work in Easton, Allentown, Stroudsburg and the nearby areas! Basement bars make for a great place to entertain friends and watch the game. Living Room: Adding another living or family room in the basement is a very popular choice and creates a space where the whole family can spend time together. Entertainment Room: Adding a game room or home movie theater is a great way to create an area that's fun to use and is great for entertaining. Basement Bar: Basement bars or man caves are always a great choice for basement remodeling, giving you a place to host friends for all types of events. Extra Bedroom: If you have kids sharing bedrooms or in-laws moving in, an extra bedroom in the basement gives them a private space. Playroom: For families with young children, adding a playroom in the basement is a great option. This gives the kids a place to have fun and an area to store all their toys. No matter what ideas you have for your basement, Burke Construction has the experience and expertise to make them a reality. We will work with you to create the perfect design and give you a high-quality installation that you'll enjoy for years to come. If you're ready to take the next step towards remodeling your basement, call the experts at Burke Construction for a free estimate! We can give you a beautiful new living space that makes your home more comfortable, functional, and valuable. 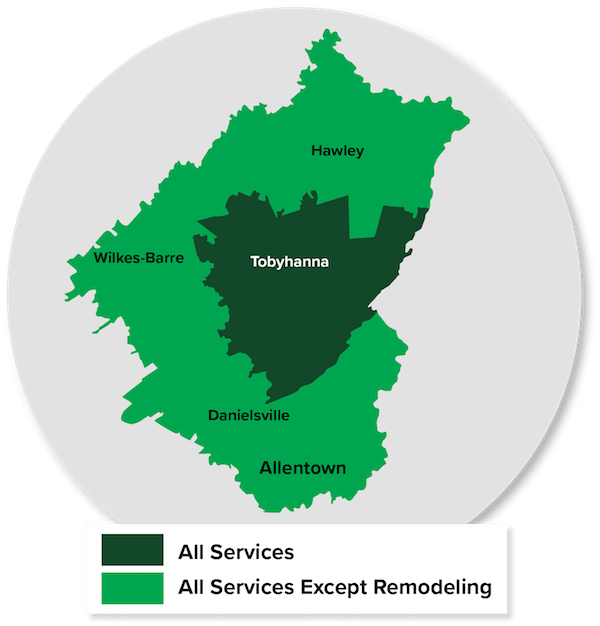 We proudly serve in Allentown, Stroudsburg, Easton, Bethlehem, East Stroudsburg, Pen Argyl, Bangor, Wind Gap, Pocono Pines, Bartonsville and throughout the nearby areas.